Situated in Gerrard Street, in the old BT Telephone Exchange, China Exchange is a spacious new dry hire venue for a variety of events. The venue is mere minutes away from Leicester Square and Piccadilly Circus and is around 300sqm. 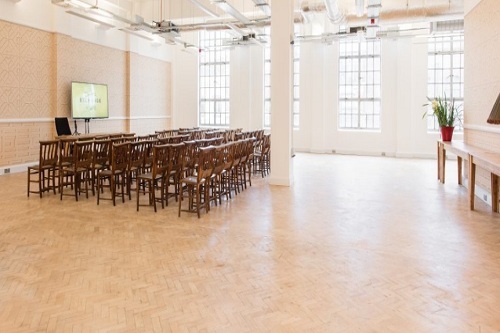 With triple light windows, natural daylight adds warmth to the venue, making it ideal for hosting conferences, workshops, meetings, corporate events and more. China Exchange consists of three spaces; The Chung Yen Sing Hall, Moonchu Hall & The Prudential Hall. There are no catering facilities onsite, so caterers are required to provide electric ovens and heaters.